TECO SA is committed to be the global automation products and solutions provider. On the basis of the market requirements via established overseas channels, excellent R&D and manufacturing capability, TECO SA is able to offer innovative products to meet customers’ demand. Well organized pre. & aft. sales support teams provide application technology & timely service to guarantee customers’ satisfaction. TECO SA also provides automation system products to enhance the efficiency of manufacturing. 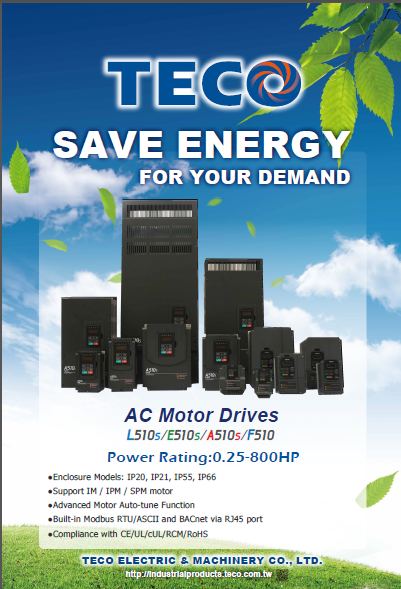 TECO SA always devotes itself to the duty of providing energy-saving & high efficiency products in the industry.